Players from the UK Online Casino world will be delighted to hear that we listed the best 'Quick Hit Slots' from the world's premier iGaming software developers Bally Technologies. 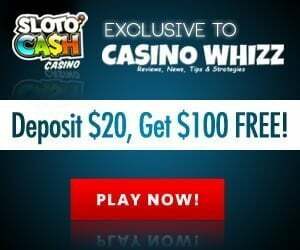 If you are wondering what it means, it means that a slots has the ability to pay huge sums of cash within a short period of time. Normally they contain a slice of high-denominational gameplay that combines the most popular game themes. With that being said, you need a decent sized bankroll to play them. Quick hit online slots possess a few traits that makes them stand out from your run-of-the-mill games. Slots enthusiasts can experience their enhanced 3D graphics, innovative free spins bonuses, eye-catching lightning features and multi-channel sound package. One slots variety that stands out from the crowd is Bally’s Quick Hit Slots Series, if you visit any land-casino whether it be in America or Europe you’ll find them there. The question is, what makes them so unique? 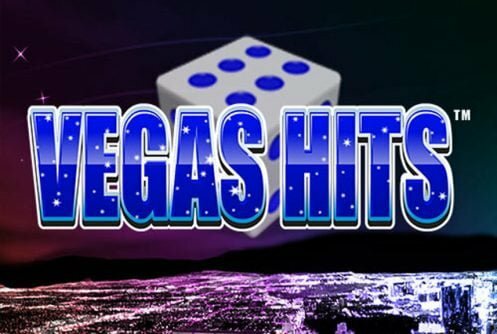 They are high variance slots which makes them popular with high rollers, they have 30 paylines (with the exception of Quick Hit Pro which has 40 paylines); they have a bunch of bonus modes and they pay lofty sums of cash. At this stage there are 10 of them, popular ones are Quick Hit Pro, Quick Hit Black Gold, Quick Hit Las Vegas and Quick Hit Platinum slots. The games are played on a 5×3 layout, their symbols such as cherries, bells, 7s, Aces and Kings look the same. Each slots has its own distinct logo symbol which serves as the scatter. All the Quick Hit Slots sport the same game mechanic so it’s difficult to single out a specific one. A game with sharper visuals and sizeable payouts is Quick Hit Las Vegas. Players looking for a slots with that classic look will find the other three to their liking. That said, Las Vegas scores an extra couple of points from us because of its one-of-a-kind bonus features and sharper visuals. 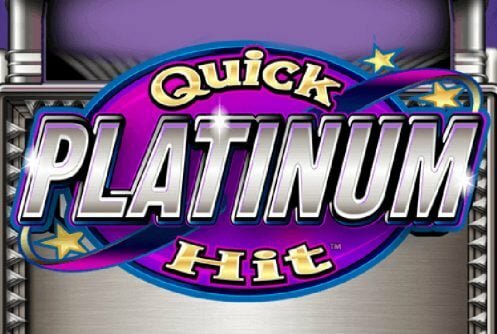 Quick Hit Platinum and Black Gold take scatter multiplier wins (3 or more pitch) to a whole new level, the Platinum multiplier can be as high as 5,000x while the Black Gold offers a payout of 7,500x stake. Each free spins feature is played when 3 or more ”Free Games” logos appear regardless of their position on the reels. Once the feature is initiated you have a choice of between 18 to 20 tiles – match 3 symbols. Each number you revealed awards you a certain amount of free spins with multipliers. The amount of free spins that can be won can be anything from 7 to 25 free spins with multipliers from 1x to 3x, Quick Hit Pro excluded. The Quick Hit Pro’s free spins feature is known as ‘Prochinko’, a combination of ‘Pro’ plus ‘Pachinko’. The Pachinko pinball is prominent through the free spins, it’s also responsible for triggering the Prochinko bonus – for every pinball that pitches you’ll get a multiplier win of 5x. The average payout percentages of the Quick Hit slot machines are the same. If one compares the offline and online Quick Hit Slots there’s a remarkable difference. The payout percentage of the online slots are 93.95% (Las Vegas) to 94.06% (Platinum) while the theoretical return of those found on land-casino floors are 92%. It’s safe to say that the average payback hovers around 88%-90%. With that being said, it differs from one casino to the next. It goes without saying that the RTP of online slots are better because the operating costs of cyber casinos are significantly lower than that of their land-based cousins. 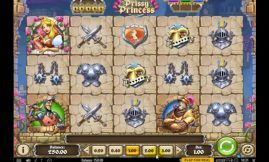 At the time of writing only one Quick Hit Platinum slots can be played online. 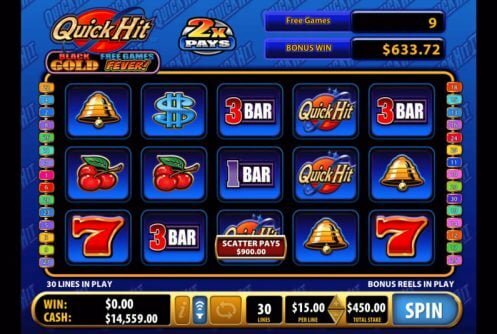 Quick Hits Slots are easy to play since all their paylines are fixed. To increase/decrease your average bet per spin all you need to do is toggle the ‘-‘ and ‘+’. The smallest stake per line is is 1 cent while the maximum bet per spin is up to £€$450.